Anne de Suiza, Founder Partner and Financial Adviser, Foster Denovo. 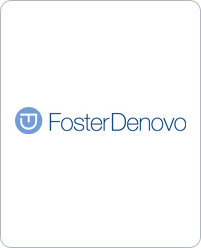 I’m a Financial Adviser with Foster Denovo. What are your main objectives in using LinkedIn? I’ve used it primarily to connect with people that I’ve met professionally. Who do you connect with and why? I have been contacted through LinkedIn by potential clients and partners. An accountant who was looking for IFAs to refer to his clients contacted me, and he had located me solely through LinkedIn. Since our consultation, what has changed about the way you use LinkedIn? Before that I really didn’t use LinkedIn much at all. I didn’t trust it, and I didn’t want anything from my professional life being mixed up with I-knew-not-what. Then you helped me, so now I know what I’m doing much more. How has LinkedIn helped your business? I think it has started to help my business. Because my business is based on relationships, it’s not numbers so much as the quality of relationships. One person contacted me last week whom I had not seen for 15 years. She’d changed her name but I was able to figure out via LinkedIn that I’d known her years ago. I sent a message back as a long shot and she said, “Yes I used to be called XYZ.” If she hadn’t put her profile and information on LinkedIn, I wouldn’t have known who she was. What features of LinkedIn do you find most useful? The connection feature, of course. I also like the endorsement feature. And I like seeing who’s looked at my profile, and from there, seeing people I may know. I have found it really interesting to have been contacted by people I haven’t seen for years. What’s interesting is that I don’t imagine they’ve sat at their computer and thought, “Ah, Anne de Suiza, I haven’t seen her for twenty years, I must see if she’s on LinkedIn.” But LinkedIn has this feature, People You May Know, and it’s amazing, because you always know someone on that list—and I must be on their list too! So I also use LinkedIn to re-connect with people I have lost touch with as well as new people. What advice would you give to others on using LinkedIn? Don’t use the templates as your connection message—it’s just plain rude. I’m much more likely to respond to a personal message—otherwise it looks like a round-robin cold call. At least say, “I hope you remember me, we met at this evening, we chatted about that, and wouldn’t it be nice to connect?” It does take two minutes longer, but I’m much more likely to connect with somebody who sends a personal message.